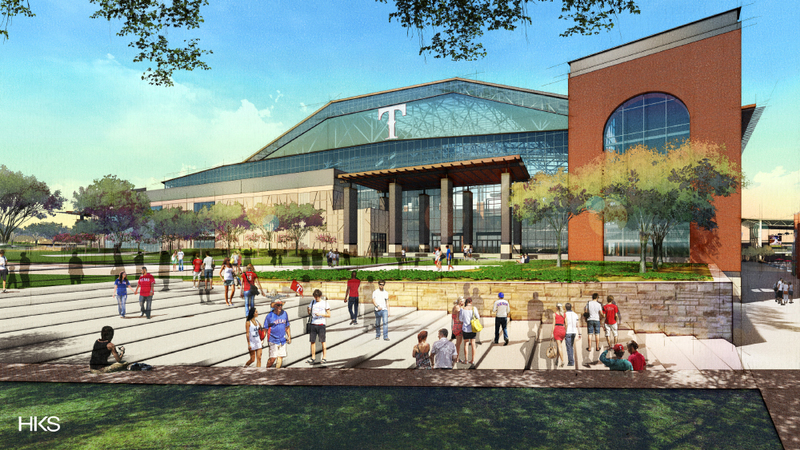 The Texas Rangers will move to an HKS-designed new stadium in Arlington by 2020. 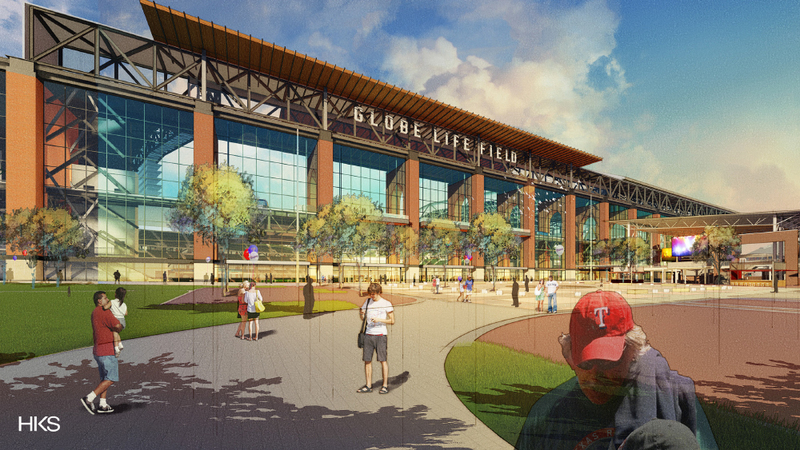 The new venue, Globe Life Field, will hold 41,000 seats and a 1.7 million-square-feet ballpark. 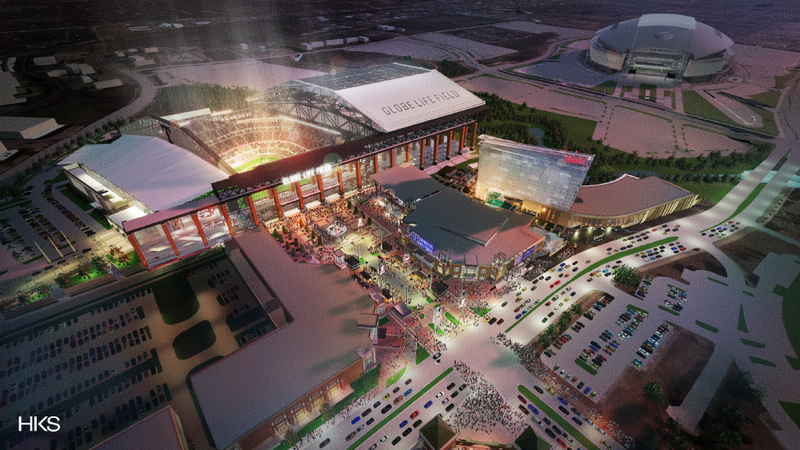 It will be home to games ranging from high school and college sporting events to professional, international games. 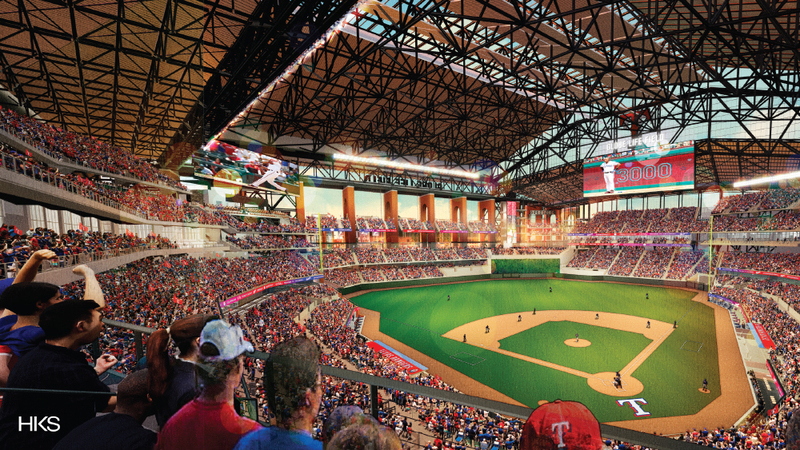 The $1.1-billion baseball park broke ground in September 2017 and is now under construction. 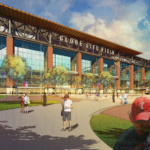 When completed, Globe Life Field will join the Texas Live! 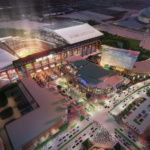 entertainment district as a new destination for entertainment tours. 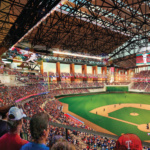 Taking into consideration the hot climate of the state, HKS introduced climate-controlling infrastructure, including the massive retractable roof that would open and close depending on the weather. The design aims to improve the comfort of watching games, with wider seats and varied front-row seating design. Two concourse rings allow for easy circulation. Restrooms and concessions are receded from the seating bowl to avoid the obstruction of views. HKS designed the plaza-facing north wall with a mixture of 18 brick, Texas limestone, granite arches filled with curtain walls in between. 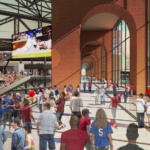 People will be able to walk on the corridor underneath the arches, which is the main concourse, and look down onto the plaza on one side and the game on the other. 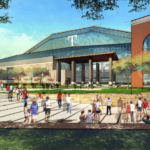 The design of a large plaza and multi-level landscape outside the stadium was inspired by Texas farmhouse porches. 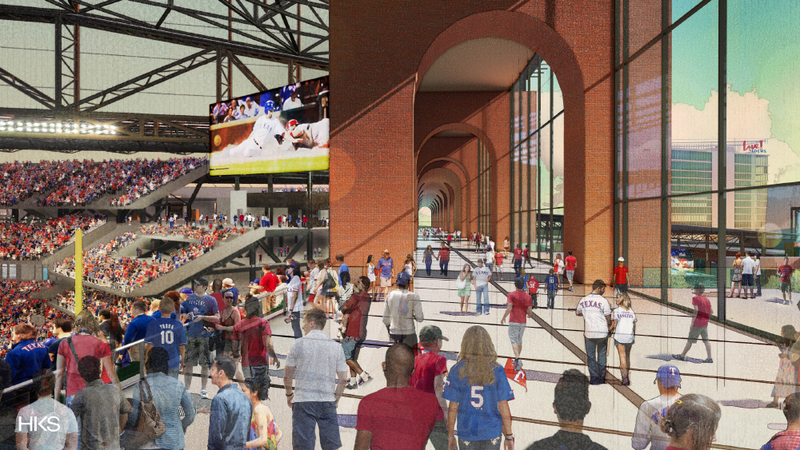 The project also borrowed elements from other ballparks, paying tribute to the neighboring, old Globe Life Park by using arches. It also referenced other local arch-sporting landmarks, such as the historic Mission San José y San Miguel de Aguayo in San Antonio and the Kahn-designed Kimbell Art Museum in Fort Worth.